Why Should I Host My Website in Canada? "Where is my website hosted?" This is probably a question that many of us have never actually taken the time to ponder. One might also wonder, "Does it matter where my website is hosted?" The answer is a resounding "Yes". Where your website's hosted is extremely important for a variety of reasons; one being that the location of your website's hosting becomes the jurisdiction for which laws a website, and its data, are subject to. For example, hosting your website in the United States will mean that your data, content, and site are subject to the U.S. legal system, as opposed to whichever country you actually reside in. There are numerous reasons why you should choose to host your website in Canada, including: Superior security, increased Canadian presence and SEO, technical infrastructure and a sophisticated workforce. Canada is one of the strictest countries in the world when it comes to managing personal data and information. Compared to other countries, Canada places personal security as a higher priority and it is regarded as an essential right. For example, in 2012 Bill C-30 was proposed, which would have allowed authorities to track digital activities and have near unlimited access to user information (without obtaining a warrant) via Internet Providers. The proposal was met with overwhelming public backlash and, before long, was scrapped. In complete contrast, the United States haves introduced multiple bills and acts that allows easier and further unrestricted access to personal information. There is little in the way of real privacy protection for data owned by companies. It is actually possible for American authorities to monitor your online activities and block access to your own data without a court order. Listed below are recent laws enacted by the US Government that provides them access and/or control over your data. Passed in October 2001, The Patriot Act is a law enacted by the U.S. Government that allows it to access the data of businesses or individuals that are suspected to be a threat to the United States. The act legalizes surveillance on individuals, organization and assets located within US soil, including websites hosted in the US. If you have data that physically exists in the United States, then it is considered fair-game to be accessed and/or monitored under the Patriot Act. The DMCA is an act that requires web hosting providers to take down websites that contain copyright-infringing content. What does this mean for your website? Well if your website is hosted in the US, if you accidentally post content with copyrights on them, the web hosting company is required to take down your website immediately. PRISM made headlines during the summer of 2013 as a NSA data mining program that targeted or coerced Internet companies into compliance. Data stored on the servers of large Internet companies like Google, Yahoo or MSN were compromised. Canadian or European companies may inadvertently violate privacy laws if decisions are made to host in the United States. As a Canadian company that fully operates in Canada, we are subject to the strict privacy laws of the Canadian legal system and are not obligated to provide, or offer, foreign governments access to your information. If they do send us a request, we are able to respectfully decline. If you're operating a Canadian-based business, or looking to increase your presence in Canada; then hosting your website in Canada will afford you that option. Choosing a Canadian based hosting provider, like Webnames.ca, will grant your website a Canadian IP address. Search engines, especially Google, work by offering different results based on the searcher's location. For example, searches based in Italy will return different results than searches performed in Germany. Having a website hosted in Canada will increase your search relevancy within Canada-based search results and increase Canadian traffic. Many large corporations also have multiple variations of their site with different domain extensions (.COM, .CA, .CO.UK, etc.) based on location, and host those extension in the extension's corresponding country. Canada boasts a sophisticated contemporary telecommunications infrastructure and a highly educated IT workforce. When factoring in the distance of hosting facilities, large Canadian cities with hosting servers, like Vancouver, Toronto, and Montreal, are all quite close to the US border. 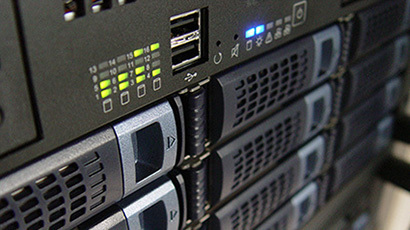 This allows these hosting hubs to offer higher reliability and an increased bandwidth speed, creating quicker connectivity to many cities in the United States than various hosting centers that are actually located within the US itself. Hosting centers located in Canada also rarely lose power and, maintaining stable up-time, in comparison to hosting centers in states like California or Texas. Since Canada's IT sector features highly educated personnel, the service received from Canadian hosting providers is top-notch. Webnames.ca is also pleased to boast a bilingual support staff, offering technical service and support in both French and English. Choosing to host your website in Canada is a safe choice. Compared to hosting in other countries, hosting your website in Canada offers increased protection of personal data, increased Canadian presence and Grade-A service and facilities.